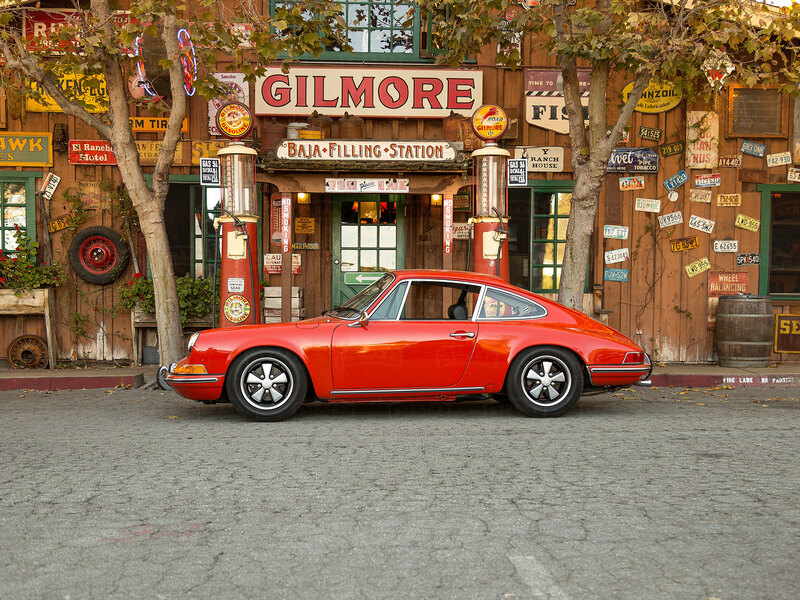 This 1970 911 T was sold at Bonhams Scottsdale in January 2016. What initially attracted us to this 911T was its unusual Champagne color. However, when we inspected the car to see if it would be a good restoration candidate, we discovered that it was originally Tangerine (Code 2323), a much more exciting color! In addition, we found that the car was ordered with S aluminum brake calibers and Koni shocks. An initial test drive revealed a strong motor, solid chassis and a car suitable for a full restoration. Like all of our 911s, it is a best-in-class, fun-to-drive ride, with the pedigree required for collectability. Our team of restoration experts embarked on a painstaking restoration, leaving no surface of the car untouched. We were careful to duplicate many of the original touches from the factory. The finished 911 looks, feels and smells like new. As with all of our restorations, it is accompanied by extensive documentation, with high-resolution pictures and videos, of the entire process. We also included a comprehensive set of invoices for all the new parts used to restore this Porsche. Finally, it was driven and thoroughly tested post-restoration. This is truly a turnkey early Porsche 911 that is ready to start making memories!